This week I had a class that were comparing the weapons and tactics used on the battlefield in the First World War. In order to do this we created venn diagrams to compare. 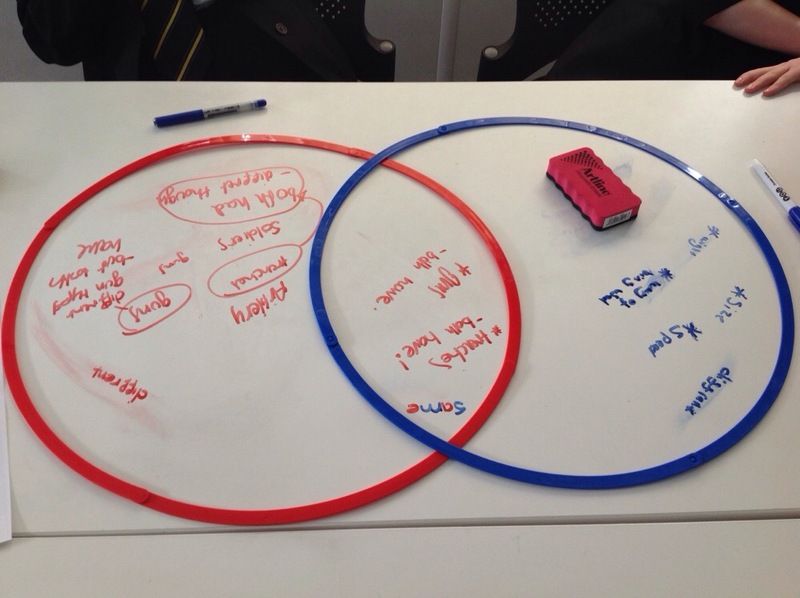 However these were venn diagrams with a difference, we took them off of the paper and and used hoops and white board pens. 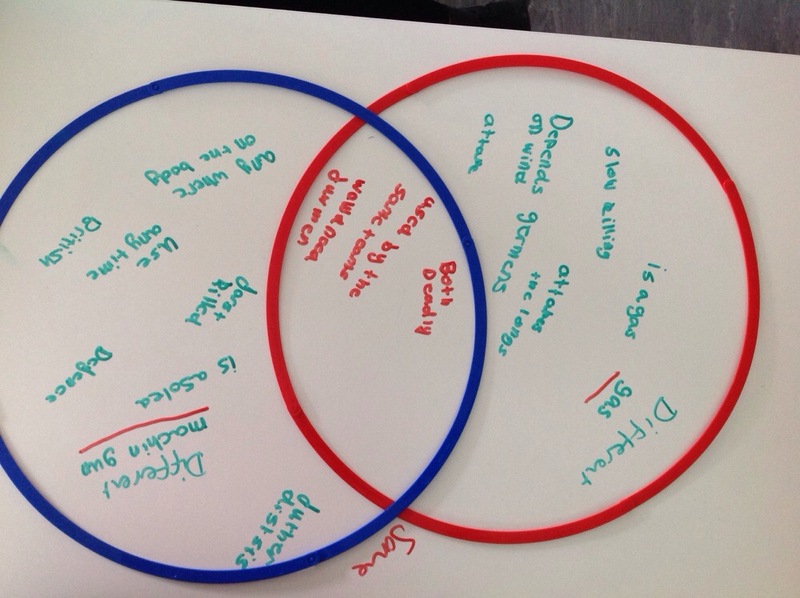 The pupils decided on the weapons or tactics they wished to compare and set up their venn diagram on the table. They then simply used the whiteboard pens to write on the tables. I recoded their work using the SeeSaw app. 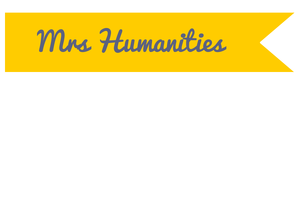 Categories: Classroom Ideas | Tags: Active Learning | Permalink.